After due deliberation, I bought this bough for £10 from Denise Kirstenson, the Eliza Doolittle of Columbia Rd, whose fine soprano voice rings out throughout the market each week. 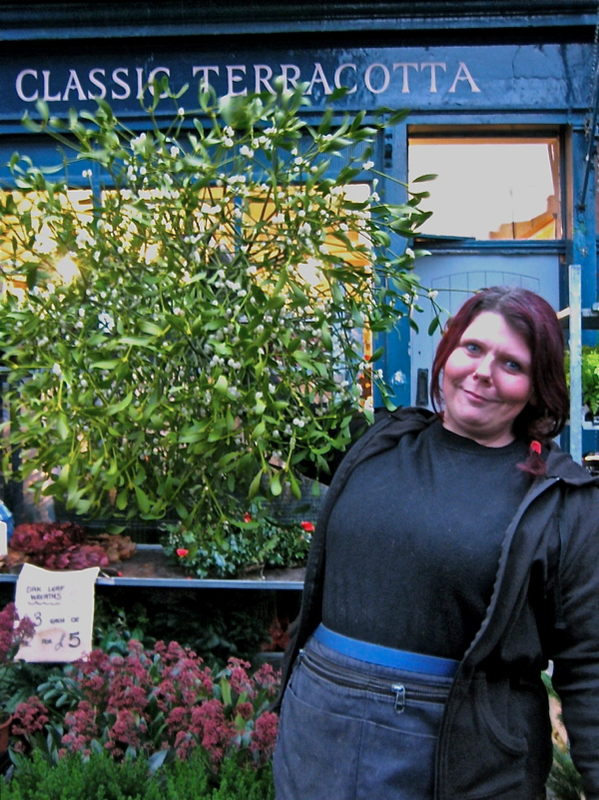 Some readers may wonder why I chose to buy such a huge bough of of mistletoe. The answer is simple, I like to encourage lots of kissing in my house at Christmas.